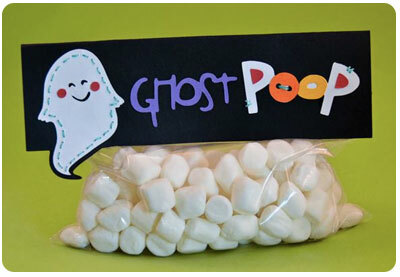 Smart Allergy Friendly Education: Ghost Poop for the holidays! Let your favorite marshmallows be a treasured Halloween treat! 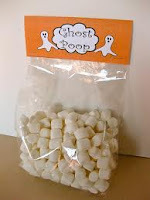 Ghost Poop for the holidays! Let your favorite marshmallows be a treasured Halloween treat! 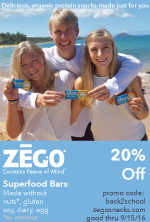 Halloween can be a stressful or frustrating holiday for many kids with food allergies. Coming up with creative ways to celebrate with foods they can eat can be challenging, to say the least. I wish I was creative enough to lay claim to the following Halloween treat idea, but I'm not. I had this funny suggestion passed on to me from a fellow member of the UFAN (Utah Food Allergy Network) forum. This is an incredibly creative way to take something ordinary and make it into something fun and enjoyable! Who would think that mini marshmallows could create such a memorable Halloween treat!! 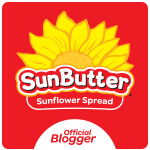 This link will offer you several different labels you can print up and use. Not only will this Halloween gift bag be sure to make your house a 'must visit' for many seasons to come, it will more than likely add a little extra laughter and fun to your allergy kid's festivities!